Good News! After weeks of guessing who will participate on UFC 123, officials from the promotion officially announced the 11 fight lineups to watch for. Just like previous events, UFC 123 amazes people with an excellent 11-fight lineup. Today marked the finalization of the long-rumored fight card. It was chosen to be headlined by Lyoto Machida and Quinton “Rampage” Jackson. The event will take place on Nov. 20 at the Palace of Auburn Hills in suburban Detroit. Main card airs on PPV and the preliminary fight on Spike TV. The fight is the first event of UFC in Michigan after the 1996 “UFC 9: Motor City Madness” in Detroit. This is the first fight for Machida after his defeat with Mauricio “Shogun” Rua in May at UFC 113. Jackson, on the other hand, marks this as his rebound from a loss to Rashad Evans in a No. 1 contender’s bout. 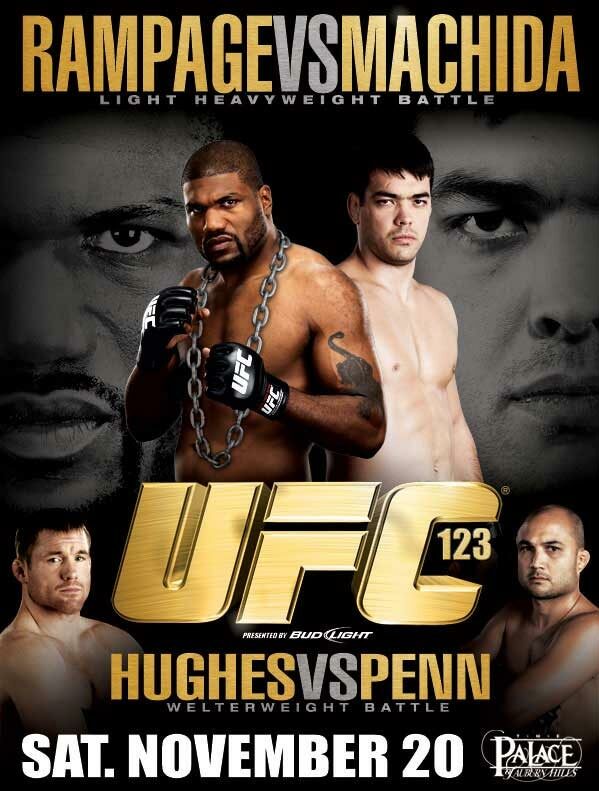 UFC 113 also features a welterweight rubber match between former champs Matt Hughes (45-7 MMA, 18-5 UFC) and B.J. Penn (15-7-1 MMA, 11-6-1 UFC), and lightweight contender George Sotiropoulos (13-2 MMA, 6-0 UFC) looks for his seventh consecutive UFC win when he meets fellow contender Joe Lauzon (19-5 MMA, 6-2 UFC).